With Brexit and national elections in various member states, 2017 has been hailed as a historic year for the EU. It also heralded the start of the second half of the European Parliament’s legislature, taking it through to the next European elections in 2019. A new year also saw the usual mid-term shake up of the institution’s 22 committees, the “workhorses” of parliament where most of its legislative work takes place. 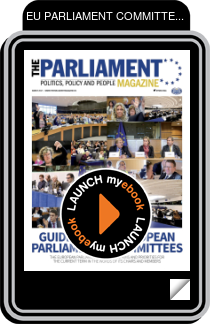 Find out what each committee's aims and priorities for the current term are, in the words of their MEP chairs and vice-chairs, in our special 70 page Parliament Magazine Committee Guide.